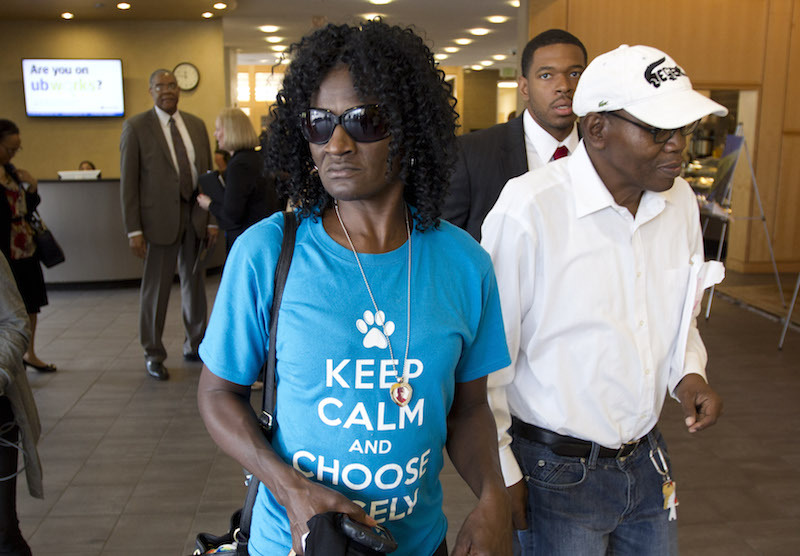 The mother of Freddie Gray tried to commit suicide Wednesday night, according to CBS Baltimore. Gloria Darden reportedly sustained superficial wounds in the attempt, which took place Wednesday just after 9 p.m. CBS Baltimore reports she was taken to a local hospital, but did not require surgery or stitches. The reported attempt comes just weeks after Darden and other members her family were awarded $6.4 million for Gray’s death; of the $6.4 million, Darden will reportedly receive $5.36 million. The 25-year-old Gray died in April while in the custody of Baltimore police officers, allegedly during a “rough ride” to the station that followed his illegal arrest; six of the officers involved have been charged for his death, including one charged with second-degree murder.